Now up for auction: one of the most popular of Civil War pistols, the Colt 44 Model 1860 Army Revolver. NOTE: Auction ends May 15, 2011. This antique pistol is a muzzle-loaded cap & ball .44-caliber revolver used during the American Civil War. It was used as a side arm by cavalry, infantry, and artillery troops. 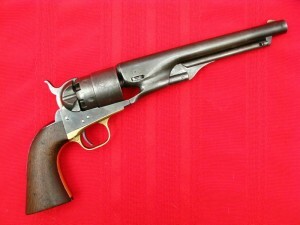 The Colt 1860 Army uses the same size frame as the .36 caliber 1851 Navy revolver. 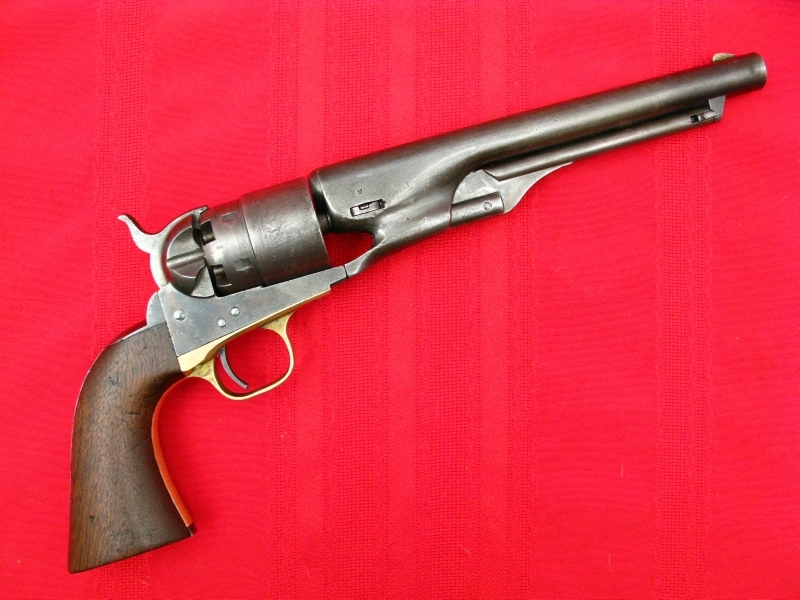 The frame is relieved to allow the use of a rebated cylinder that enables the Army to be chambered in .44 caliber. Also, the barrel on the 1860 Army has a forcing cone that is visibly shorter than that of the 1851 Navy, allowing the Army revolver to have a longer cylinder.